Renovations & Maintenance > Renovations & Maintenance Stories > Knob & tube wiring: What are the options for dealing with it? Understanding knob and tube wiring can help you weigh your options and make the best possible decisions. The insurance inspector comes up from the basement of the 90-year old home you just bought. This is the stuff of nightmares for some people moving into an older home or looking to sell one, and it’s even affecting people with existing insurance policies up for renewal. 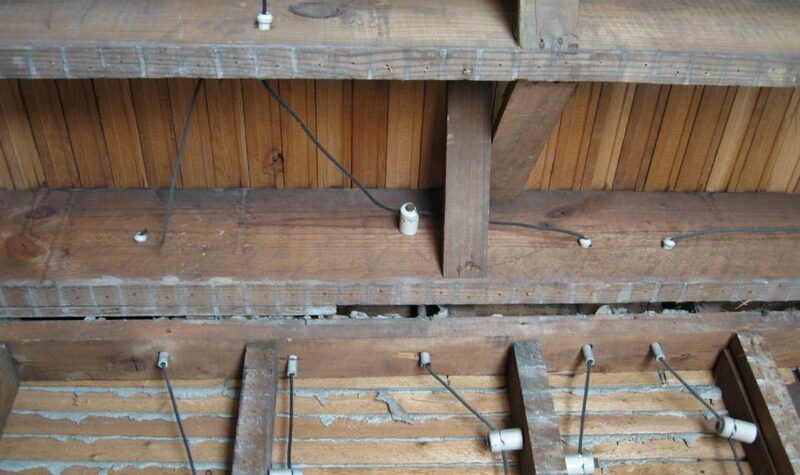 As knob and tube wiring (also called “open wiring”) becomes more of a technical issue, understanding the nuts and bolts of the technology and how to deal with it is essential for owners of older places. Like most things in life, a little insight goes a long way. “Knob and tube” is a generic term that describes a system of residential wiring installed between 1900 and the 1940s in both city and country homes across North America. It was leading-edge technology at the time, but is now regarded as too risky and dangerous to be insurable by some companies. This porcelain item is the “knob” in an old knob and tube wiring system. Some insurance companies still cover homes with knob and tube if inspection shows it’s original and hasn’t been tampered with. Understanding knob and tube wiring can help you weigh your options and make the best possible decisions, both before you buy or after you’ve found out you’ve got knobs and tubes in your home. Knob and tube wiring was used at a time when the electrical industry hadn’t yet developed the kind of highly effective, synthetic wire insulation materials we have now. While modern electrical cables are actually bundles of wires separated by layers of flexible plastic, older knob and tube conductors are usually single wires covered in a cloth-based sheath. These conductors run separately, in parallel pairs, supported by porcelain tubes and knobs where they travel through and over wooden framing members. It’s the air space between wires that delivers most of the insulating value. The marginal nature of the old insulation meant that conductors needed to be separated physically to prevent them from shorting out, and it’s this unique feature that makes knob and tube systems easy to identify. 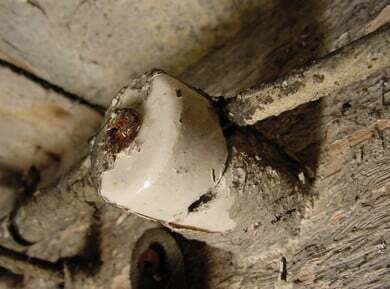 When knob and tube wiring was installed correctly, and when it hasn’t been tampered with, it’s still considered safe by some inspection authorities and insurance companies. The issue for insurance companies who stay away from knob and tube policies mostly comes down to not always being able to easily assess all knob and tube wiring in a house because it’s buried in walls. Circuits must be protected by a 15-amp fuse or circuit breaker. No additional outlets can be added to the original installation. Exposed conductors must be in good physical condition. Although this is good news, it doesn’t necessarily mean you’re eligible for insurance coverage from every company in the business. In fact, individual insurance firms can and do refuse coverage for homes with knob and tube wiring as they see fit. And the reasons cited certainly have some merit. Knob and tube systems were designed to supply much lighter electrical loads than we consider essential today. They’re usually part of electrical services rated to provide just 60 amps of total current in a home. When you realize that simply toasting a couple of slices of bread while heating a kettle of water in the morning demands almost 25 per cent of this capacity, it’s obvious how easy it is to overload old electrical systems. Another area of concern is the fact that knob and tube wiring systems aren’t grounded. Even if they’re in perfect working order, these old circuits don’t include the kind of third circuit wire that’s now a code requirement for new electrical installations. All else being equal, grounded circuits are safer than non-grounded ones because they dramatically reduce the shock hazard if appliances malfunction. Replacement of old wiring with new stuff is always an option in any home, but of course it’s expensive and disruptive. Sometimes replacement is the only prudent choice, depending on the condition of the wiring. It usually comes down to whether or not the original wiring has been tampered with. The first thing to determine is the safety of your system. Opinions offered by certified inspectors are generally accepted by those insurance companies willing to cover safe knob and tube installations in certain situations. Even if your system is determined safe, consider upgrading at least parts of it. The areas of a knob and tube installation that are most vulnerable to mechanical damage and tampering are also those areas that are exposed and easiest to change. 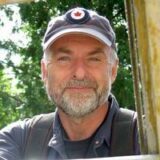 An electrician can advise you on the feasibility of various upgrade options. I know handy homeowners who have replaced knob and tube wiring entirely on their own, but you need to know about wiring to attempt this safely. The process usually involves cutting power to areas of knob and tube wiring, then replacing those circuits with new wiring, boxes and electrical hardware. If your existing knob and tube system is certified safe, and you’d like to seek coverage for your home as it is, then call an insurance bureau or association where you live. They’ll be able to give you a broader overview of which companies might offer coverage. For example, the Insurance Bureau of Canada is a non-profit industry association that’s staffed to help you explore coverage solutions for knob and tube-equipped homes across Canada. So, if you’re one of the thousands of homeowners living with knob and tube, you’ve got more options than just losing sleep over the way your house is wired.